A young singer-songwriter from Bournemouth is launching her own charity single with a fundraising all-day music event at Chaplin’s bar in Boscombe on Saturday 14 October. 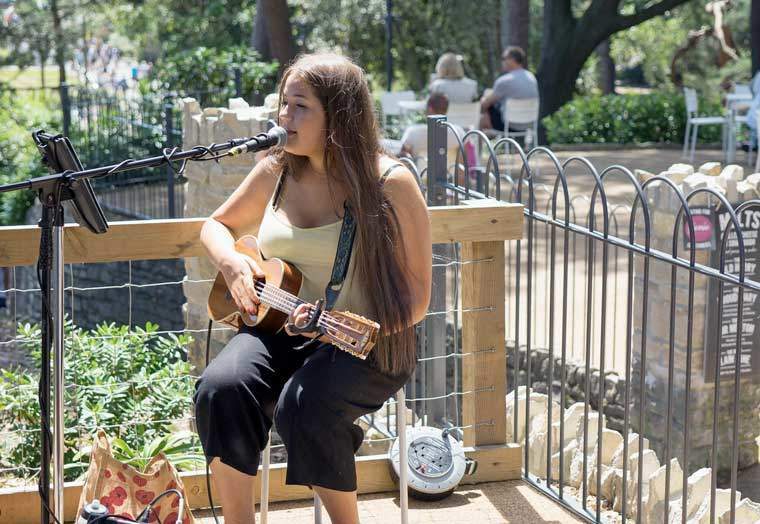 The 16 year-old Bournemouth and Poole College student, Nicole Mcnally, has written ‘Annabelle’, a song about domestic abuse, and is releasing it as a single to raise money for the Bournemouth Women’s Refuge, which is run by local housing and support provider BCHA. Nicole has been performing in public since she was 10, and over the past six years has taken part in hundreds of live music events, talent competitions, musical theatre productions and private gigs, performing at local venues as well as the Queens Theatre and Royal Albert Hall in London. Last year she was a featured artist on BBC Introducing Solent radio show. Nicole has called on her local music contacts and persuaded 16 artists to perform for free and help raise more money for the refuge. Acts include Matt Black (piano man) Si Genaro from The Voice, Jonny Phillips, Kimari Raven, Matt Griffiths, Ant Lewis and Nicole McNally herself, plus many more. Admission to the launch is by donation and copies of the single will be available to purchase – all profits will go directly to the Women’s Refuge.